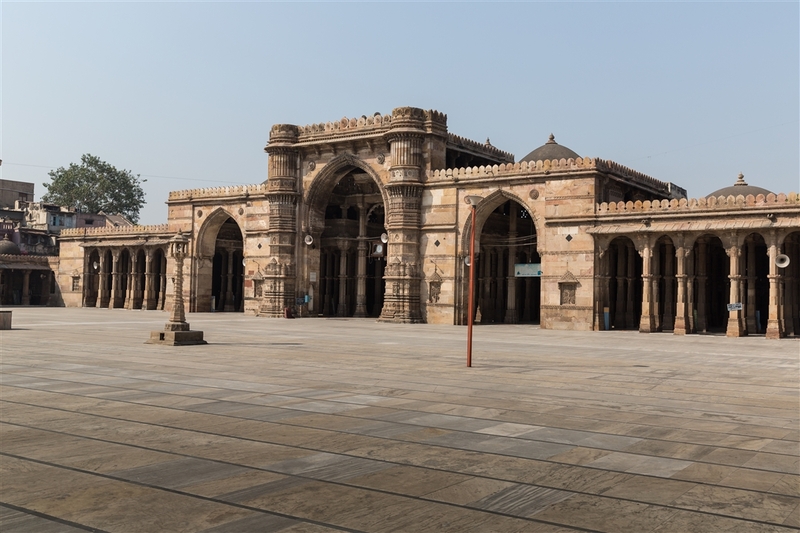 The Jama Masjid, situated in the heart of Ahmedabad, was built in 1423 by Ahmed Shah. 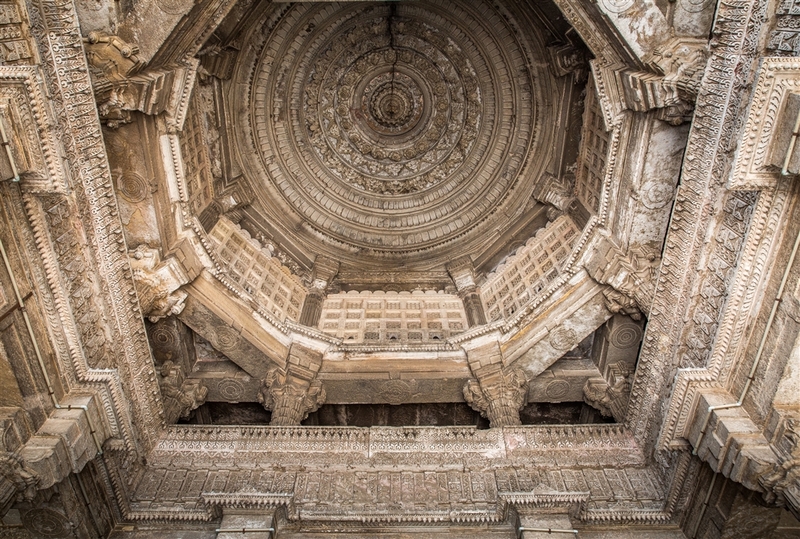 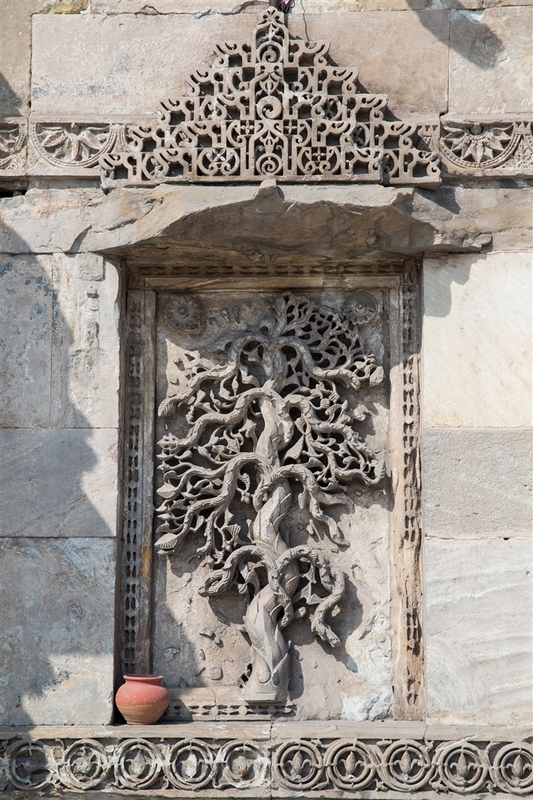 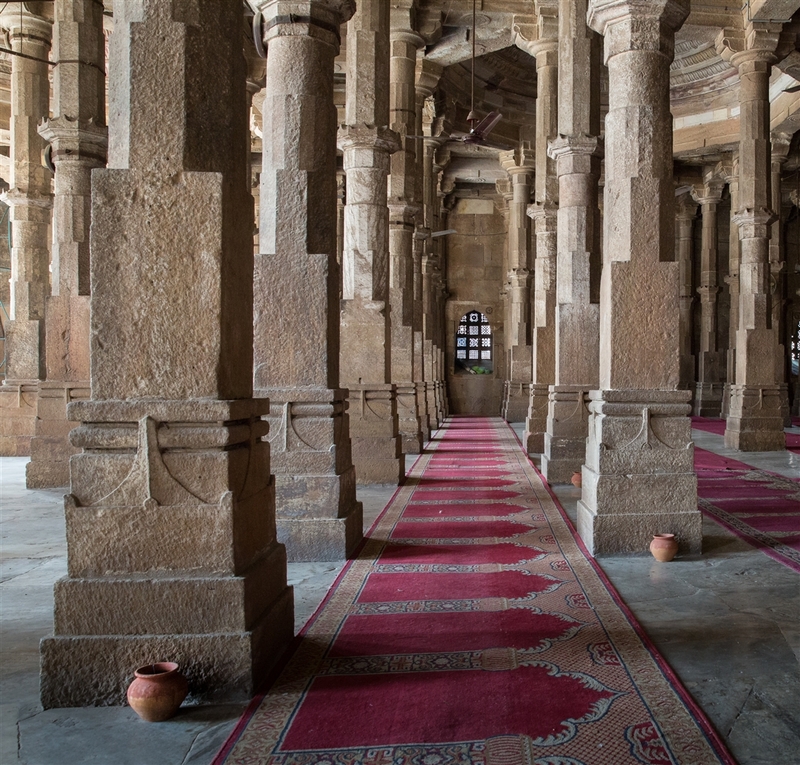 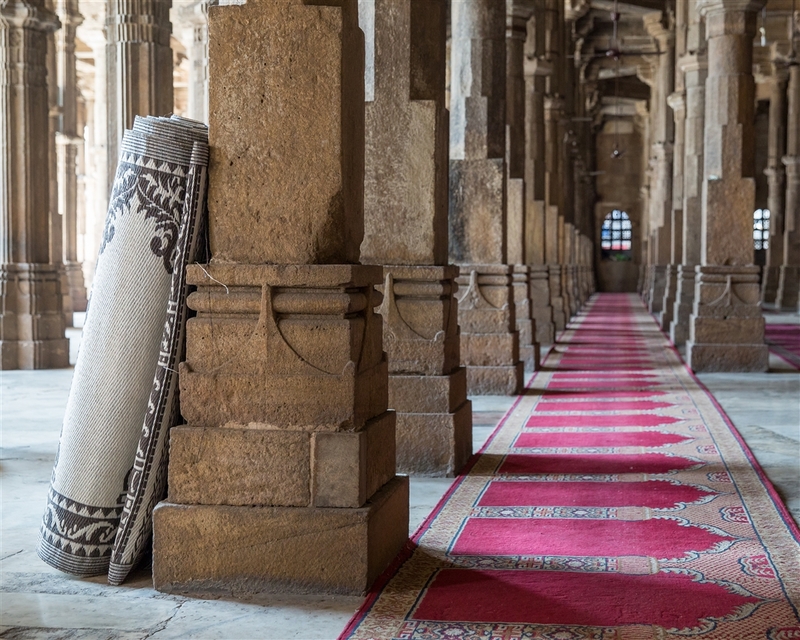 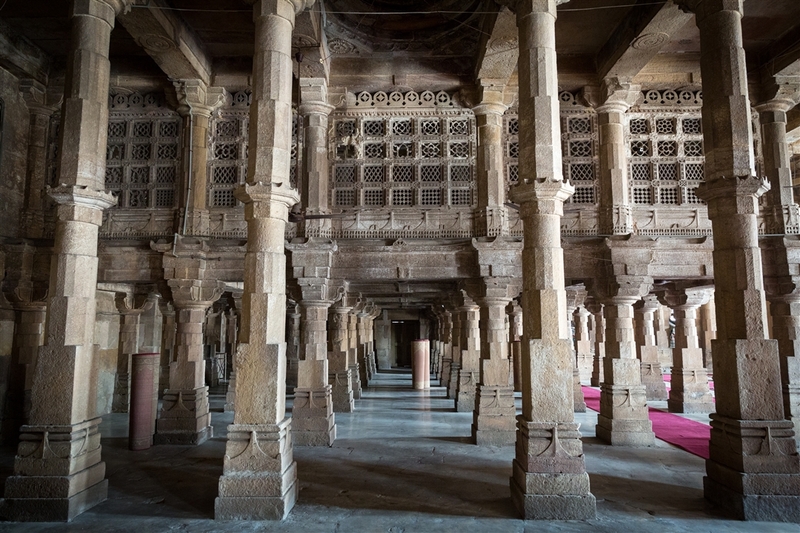 The interior consists of more than 200 slender columns, unusually for this period they were not recycled pillars from Hindu or Jain temples, but specifically carved for the mosque (although the masons did use many Hindu motifs). 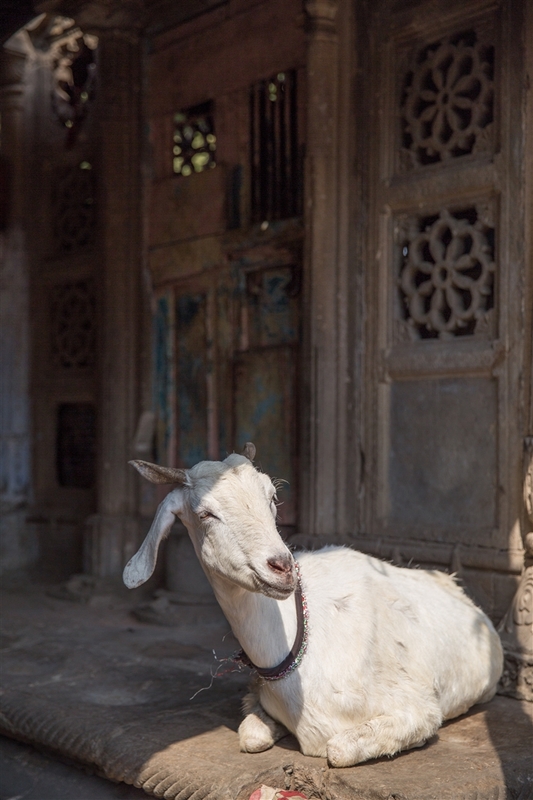 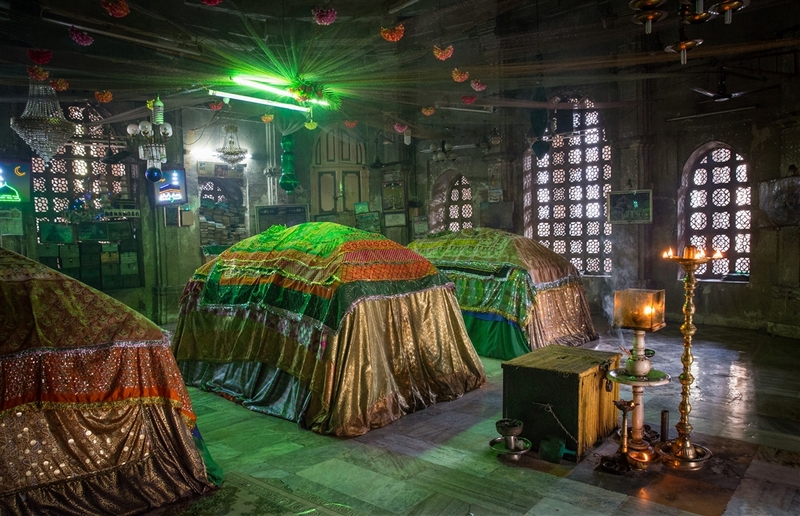 Immediately to the east of the Jama Masjid, guarded by a goat when I visited, is the tomb of it’s builder Ahmed Shah, his son Muhammad Shah, and his grandson. 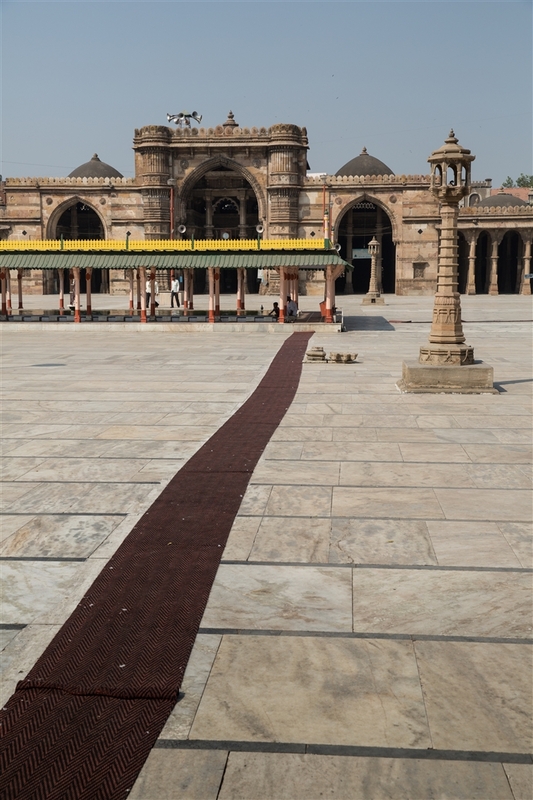 The Jama Masjid mosque is open sunrise to sunset, aside from times for prayers.